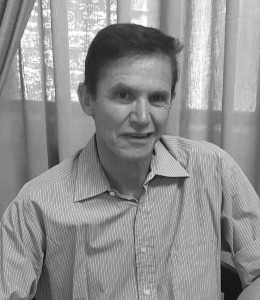 Kobus Maree is a full Professor in the Department of Educational Psychology at the University of Pretoria. His main research interests are career construction (counselling), life design (counselling), emotional-social intelligence and social responsibility, and learning facilitation in mathematics. He links research results to appropriate career choices and to life designing. He is or was editor of a number of scholarly journals (South African Journal of Psychology, Gifted Education International, Early Child Development and Care), and is a member of several national and international bodies. He was awarded the Stals Prize of the South African Academy of Science and Arts for exceptional research and contributions to Psychology (2009) and also for exceptional research and contributions to Education (2014). He also received the Psychological Society of South Africa’s Award for Excellence in Science and a fellowship of the IAAP at the ICAP Conference in Paris . Prof. Maree has authored or co­authored 115+ peer­reviewed articles and 65 books/ book chapters on career counselling, research and related topics since 2009. He has read keynote papers at 25+ international conferences and at 25+ national conferences. Over the past seven years, he often spends time as a visiting professor at various universities. We invited professor Maree to discuss with us his search of career counselling for all and especially his experiences of indigenising career (construction) counselling in developing country contexts.